The Contemporary Beauty Collection is well known for quality, style and value; this contemporary pendant is no exception. Expertly pairing a charming polished chrome finish and easy to find incandescent bulbs, this fixture is both functional and picturesque. This well-rounded pendant is sure to satisfy your indoor lighting needs. Sleek retractable natural wood rings encase ambient lighting, Abruzzo creates a truly welcoming environment. The mid-size fixture will stand out in with your home with out distracting for your other decor. It can also be paired with our smaller version to create a statement lighting installation. Bringing the classic Italian art of hand-blown glass. The Bankwell combines tradition and modern brilliance. The ethereal pearlescent finish make this fixture float in your space. Bringing the classic Italian art of hand-blown glass. The Benalto combines tradition and modern brilliance. The ethereal luster finish with contemporary design make this fixture float in your space. 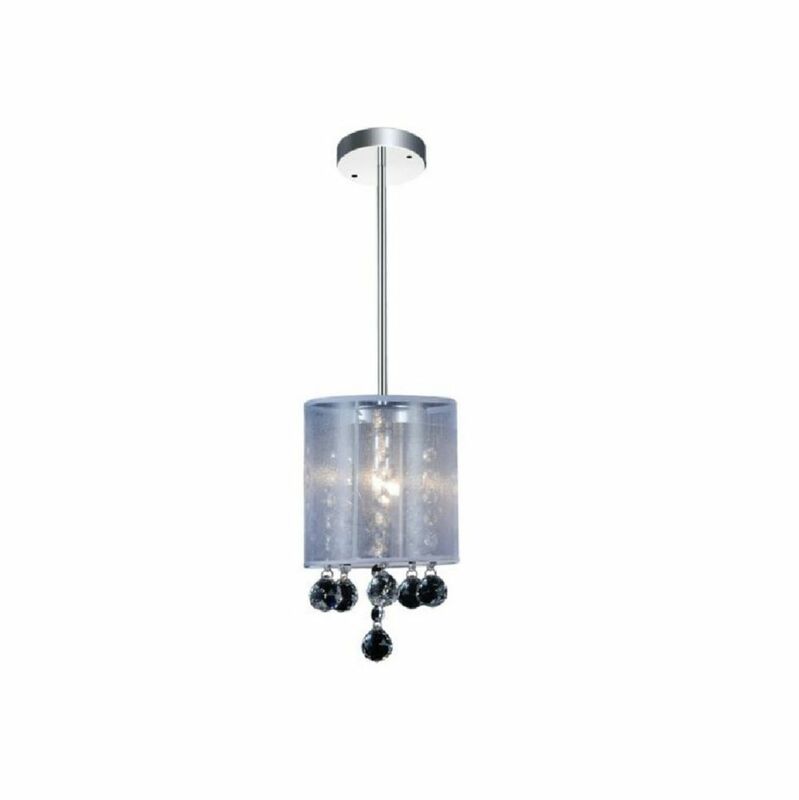 Radiant 6 inch Single Light Pendant with Chrome Finish This breathtaking 1 Light Mini Pendant with Chrome Finish is a beautiful piece from our Radiant Collection. With its sophisticated beauty and stunning details, it is sure to add the perfect touch to your dicor.